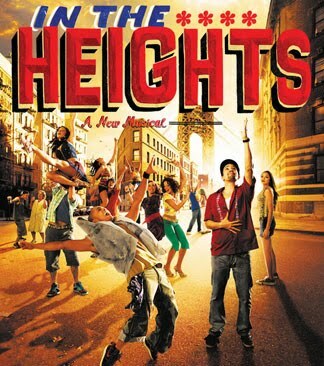 Friday night I had the opportunity to catch In The Heights as it visited Houston with its touring company. After seeing the production it is no wonder it won the prestigious Tony Award for best musical in 2008. The story takes place in Manhattan's Washington Heights and follows three different generations through their individual struggles. The cast is full of characters that represent anyone who has ever been hopeful to meet their goals while having to make sacrifices. In the end a twist, a winning lotto ticket, almost allows them to have all of their dreams come true. It is then that they realize that it is the people who make the Heights what it is, not the material things that they may not have. If you live near or are visiting NYC or one of the towns that the touring company is visiting I highly recommend checking out In The Heights.